If Gulfport waterfront is a choice being considered, this can be one of the best options for a new home. Gulfport is located in Harrison County, Mississippi and the proximity of the Gulf of Mexico provides wonderful choices for waterfront homes. Residences with views of the gulf from living rooms and bedrooms are available. Many homes have floor to ceiling windows to maximize the views. There are a number of condos located on Beach Boulevard that provide a high-end lifestyle. They include many amenities such as spas, theaters, club rooms and game rooms as well as spas and indoor and outdoor pools. The homes have granite kitchen countertops, wet bars, master suites with luxurious baths and ceramic tile. Gulfport waterfront homes are constructed with heavy concrete that meet the standards required for beachfront living. If waterfront living with a view of the bayou is desired, there are homes located in Canal Place subdivision that are perfect for families or young professionals. Consisting of one or two stories with many upgrades, the homes include kitchens with brick floors and large bedrooms that allow residents a terrific view. Many have a front-yard pier and range from a thousand to several thousand square feet. 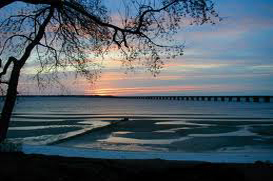 With the natural beauty provided by choosing Gulfport waterfront homes as well as the amenities, this is a highly desirable area where home values will continue to increase. Homes located only a block from the beach are available. Some are historic homes that were built in the early 1900s and have been totally restored. Prestigious homes with gourmet kitchens, formal living rooms and studies, libraries and offices are just a part of the Gulfport waterfront homes that can provide the lifestyle that is preferred. They are perfect for executive entertainment or family living. There are smaller homes available with stunning waterfront views. This is one of the advantages of living in Gulfport. A wide selection of homes can be found that provide waterfront living for everyone. Beach houses, cottages, condos, townhouses and homes are all available. With such a diverse selection when it comes to Gulfport waterfront homes and the amenities offered by living here, it is no wonder this area is preferred by many.